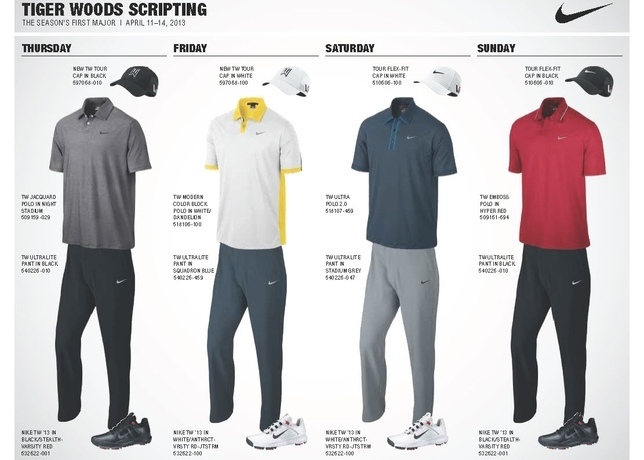 Laser perforations, no-sew bonding and ultra-lightweight fabrics are the innovative technologies Nike is using in its 2013 Masters apparel scripts. 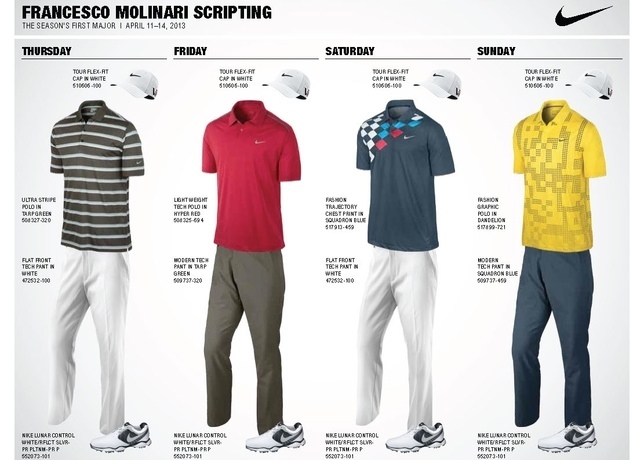 Eight players (or as Nike calls them, “athletes”) will showcase a variety of designs and colors from the four segments of the brand’s Spring 2013 Collection. 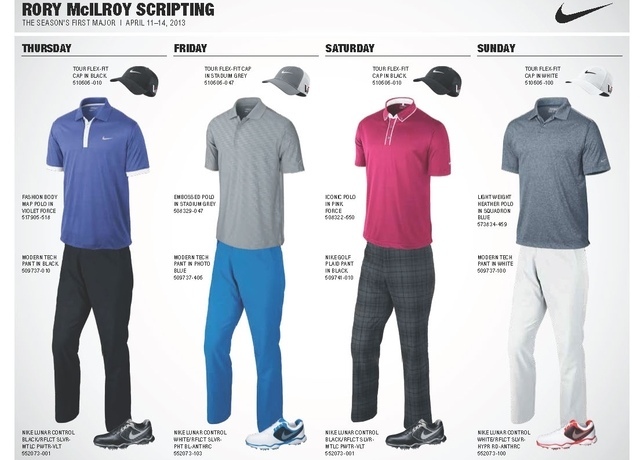 Rory McIlroy’s script is from the Nike Tour Performance Collection and is loaded with the latest innovations in lightweight and breathable performance fabrics. 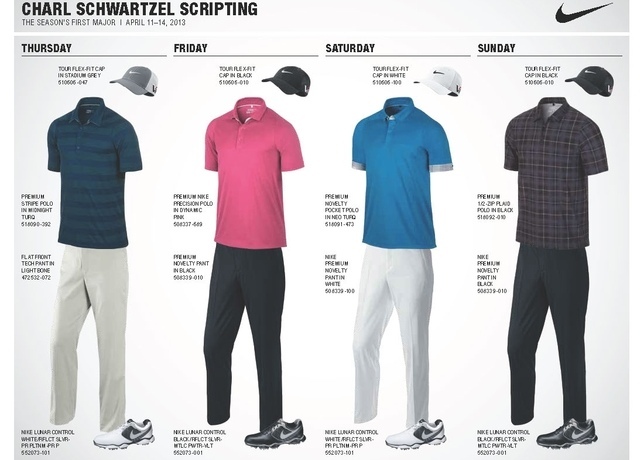 Young gun, Thorbjorn Olesen will be rocking pieces from the Sport and Tour Performance Collections, while Charl Schwartzel will make a bid for a second green jacket in traditional designs and colors from the Tour Premium Collection. 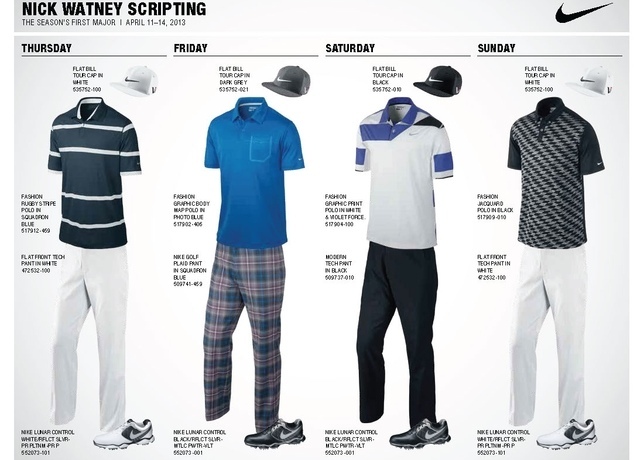 All eyes will be on Tiger Woods this week, and he will be outfitted in apparel from his Tiger Woods Collection that reflects his passion and competitive spirit. 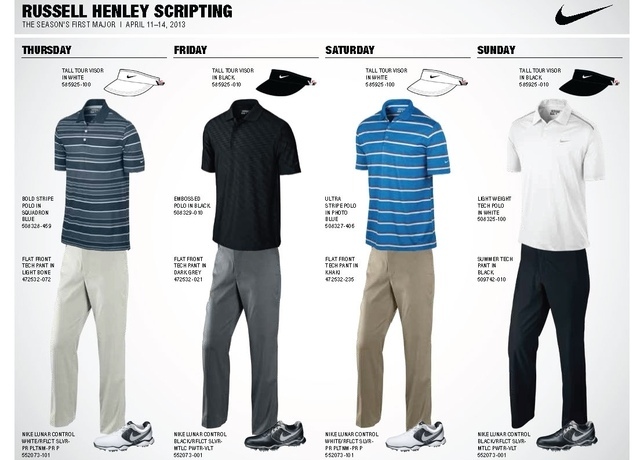 Take a look at the Nike Scripts below. It’s amazing how well the designs and colors fit each player’s personality. 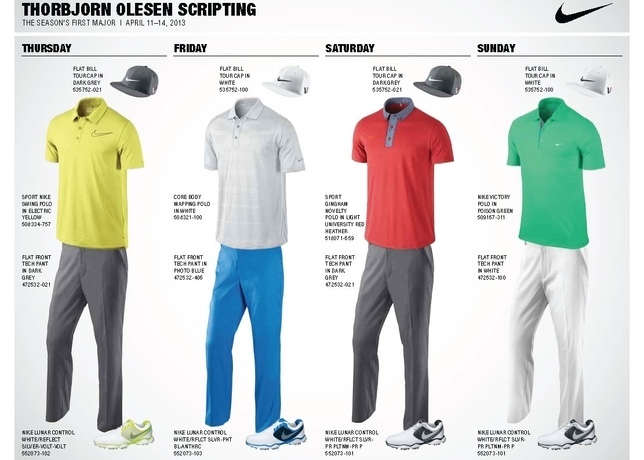 My two favorite Nike scripts belong to Thorbjorn Olesen and Rory McIlroy. 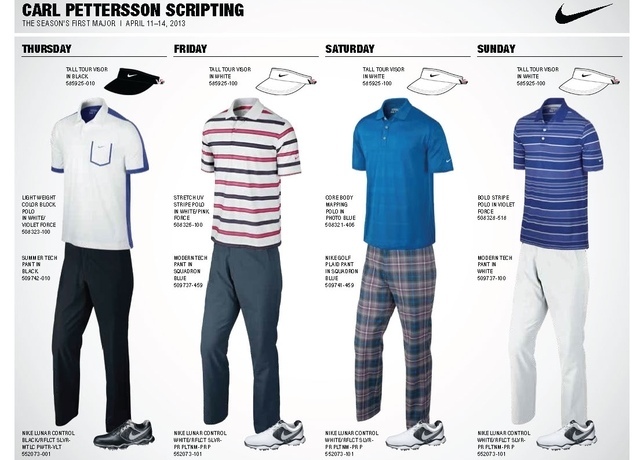 Both have a great blend of modern colors and traditional designs–especially the pants in the photo blue color that both players will be wearing for the second round.